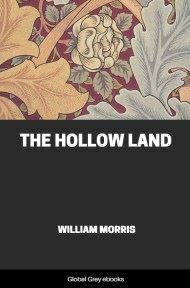 One of William Morris' first stories of fantasy, the Hollow Land tells the quest of Florian for the Hollow Land, a supernatural realm which once obtained, will only be half-remembered. 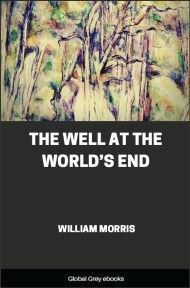 Do you know where it is—the Hollow Land? I have been looking for it now so long, trying to find it again the Hollow Land for there I saw my love first. I wish to tell you how I found it first of all; but I am old, my memory fails me: you must wait and let me think if I perchance can tell you how it happened. 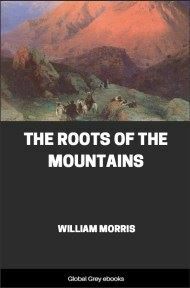 Yea, in my ears is a confused noise of trumpet-blasts singing over desolate moors, in my ears and eyes a clashing and clanging of horse-hoofs, a ringing and glittering of steel; drawn-back lips, set teeth, shouts, shrieks, and curses. How was it that no one of us ever found it till that day? for it is near our country: but what time have we to look for it, or any good thing; with such biting carking cares hemming us in on every side-cares about great things-mighty things: mighty things, O my brothers! or rather little things enough, if we only knew it. Lives passed in turmoil, in making one another unhappy; in bitterest misunderstanding of our brothers' hearts, making those sad whom God has not made sad, alas, alas! 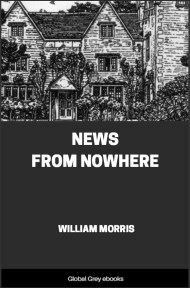 What chance for any of us to find the Hollow Land? What time even to look for it? Yet who has not dreamed of it? 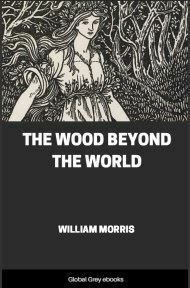 Who, half miserable yet the while, for that he knows it is but a dream, has not felt the cool waves round his feet, the roses crowning him, and through the leaves of beech and lime the many whispering winds of the Hollow Land? Now, my name was Florian, and my house was the house of the Lilies; and of that house was my father lord, and after him my eldest brother Amald; and me they called Florian de Liliis. 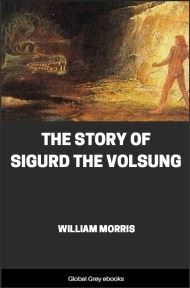 Moreover, when my father was dead, there arose a feud between the Lilies' house and Red Harald; and this that follows is the history of it. Lady Swanhilda, Red Harald's mother, was a widow, with one son. Red Harald; and when she had been in widowhood two years, being of princely blood, and besides comely and fierce. King Urrayne sent to demand her in marriage. And I remember seeing the procession leaving the town, when I was quite a child; and many young knights and squires attended the Lady Swanhilda as pages, and amongst them, Amald, my eldest brother. And as I gazed out of the window, I saw him walking by the side of her horse, dressed in white and gold very delicately; but as he went it chanced that he stumbled. 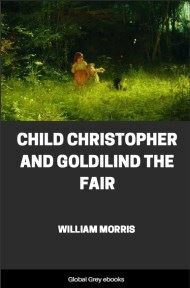 Now he was one of those that held a golden canopy over the lady's head, so that it now sunk into wrinkles, and the lady had to bow her head full low, and even then the gold brocade caught in one of the long slim gold flowers that were wrought round about the crown she wore. She flushed up in her rage, and her smooth face went suddenly into the carven wrinkles of a wooden water-spout, and she caught at the brocade with her left hand, and pulled it away furiously, so that the warp and woof were twisted out of their place, and many gold threads were left dangling about the crown; but Swanhilda stared about when she rose, then smote my brother across the mouth with her gilded sceptre, and the red blood flowed all about his garments; yet he only turned exceeding pale, and dared say no word, though he was heir to the house of the Lilies: but my small heart swelled with rage, and I vowed revenge, and, as it seems, he did too. So when Swanhilda had been queen three years, she suborned many of King Urrayne's knights and lords, and slew her husband as he slept, and reigned in his stead. And her son, Harald, grew up to manhood, and was counted a strong knight, and well spoken of, by then I first put on my armour. Then, one night, as I lay dreaming, I felt a hand laid on my face, and starting up saw Arnald before me fully armed. He said, "Florian, rise and arm." I did so, all but my helm, as he was. He kissed me on the forehead; his lips felt hot and dry; and when they bought torches, and I could see his face plainly, I saw he was very pale. He said: "Do you remember, Florian, this day sixteen years ago? It is a long time, but I shall never forget it unless this night blots out its memory." I knew what he meant, and because my heart was wicked, I rejoiced exceedingly at the thought of vengeance, so that I could not speak, but only laid my palm across his lips. "Good; you have a good memory, Florian. See now, I waited long and long: I said at first, I forgive her; but when the news came concerning the death of the king, and how that she was shameless, I said I will take it as a sign, if God does not punish her within certain years, that he means me to do so; and I have been watching and watching now these two years for an opportunity, and behold it is come at last; and I think God has certainly given her into OUR hands, for she rests this night, this very Christmas eve, at a small walled town on the frontier, not two hours' gallop from this; they keep little ward there, and the night is wild: moreover, the prior of a certain house of monks, just without the walls, is my fast friend in this matter, for she has done him some great injury. In the courtyard below a hundred and fifty knights and squires, all faithful and true, are waiting for us: one moment and we shall be gone." Then we both knelt down, and prayed God to give her into our hands: we put on our helms, and went down into the courtyard. It was the first time I expected to use a sharp sword in anger, and I was full of joy as the muffled thunder of our horse-hoofs rolled through the bitter winter night.